Is There Still A Place For Online Printers In The Digital Age? It’s amazing how rapidly the high street has declined in recent years. I heard report on the radio yesterday which said that Morecambe and Runcorn are the towns which have suffered most from this decline (see an article on this here) with as many as one in seven shops currently standing empty. Undoubtedly retail outlets are suffering from peoples shift to shopping online. I’m as guilty as anyone and find myself shopping from around the world nowadays instead of nipping down to town to buy things. I do this mainly because I can save large amounts of money and it never ceases to amaze me that I can buy a thermostat for my car from Poland at about half the price that I can buy it locally or a cartridge for my HiFi from Canada also at about half the price. I have bought several items of photographic equipment from Hong Kong and recently I have even bought from a company in Delhi all to my complete satisfaction and without having to set foot out of the door. What this tells me is that there really is no such thing as a local anything anymore, including printing companies. It isn’t all about price either. Sometimes the service provided by an online printer (such as the ones we used recently, Circle Leaflet Printing) is better than I could find locally and with the proliferation of couriers willing to transport things around the country time is not really an issue either. Why is this? Well I guess it is all down to the attitude of the company concerned. Absolutely no-one should be aiming their service purely at a local market and anyone that does is probably not keeping up with the times in both production techniques or marketing ideas. The vast majority of items being printed are about marketing or promotion and if a company isn’t marketing themselves properly how can they be expected to understand the needs of their customers? 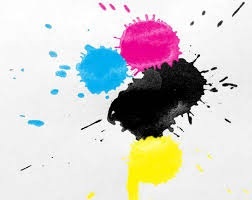 If I look on the web for printers in my own area there is only one which has a website with any worthwhile content and not surprisingly they are the largest printing company in the area and have embraced the online concept. All the others simply have a page with a brief outline of their services and some contact details, the only active part of the page being the email address. Unbelievably there is even one company with a section entitled “new for 2010” and it is now 2013! What that company are really saying is that we have no interest in doing business online and are so uninterested in modern ways of doing things that we haven’t even bothered to update our website in three years! Given this amount of lethargy by printers in my own locality I am not at all surprised that online printers are grabbing the business. Online printers are the ones who are thinking in a modern way, they are thinking big and they are thinking in the same way as their customers. If you are buying print you need to know you are dealing with likeminded people who understand what you need from your printing and why you are creating it in the first place. But don’t be mistaken about the professionalism of the online printer. Unlike online retailers who can shift products from out of a garage, setting up a printing company to cater for modern needs is a very major commitment. Offering the best service requires the best equipment and the best people to run it. Four colour printing is pretty much the default standard nowadays but it does require some pretty serious investment and commitment. This is one of the reasons why buying printing online can be the better option, you will be getting printing done on up to date modern equipment created by professional people who are aware that they are competing for your business with other companies not just locally but nationally and possible even internationally. Next story Flying From London Gatwick? A Look At Your Options For Airport Hotels!